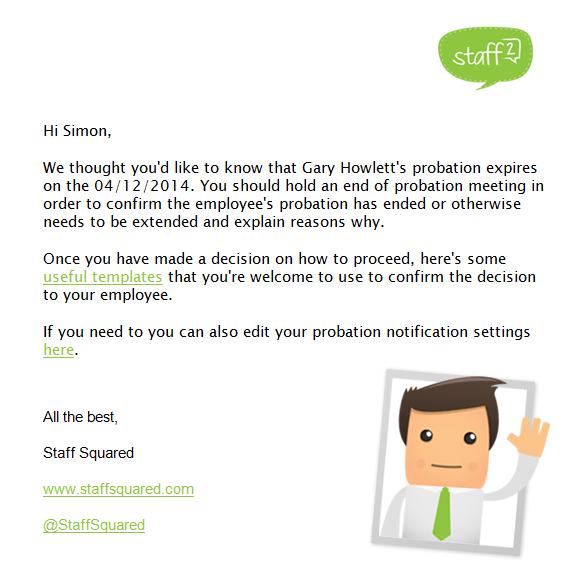 If your company includes a probation period in their contract of employment, then Staff Squared can ensure that you are aware of when that probation period is coming to an end. If you do not want to receive these notifications, you can disable them. 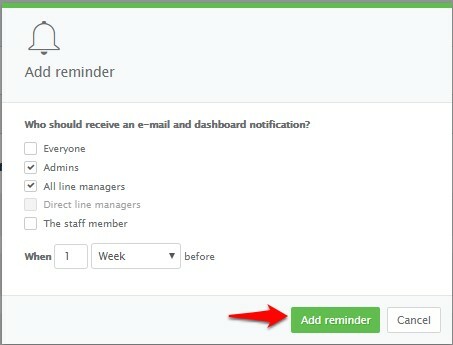 To amend or disable the notifications simply go to your Company settings and click on the Reminders tab. You will then see Probation periods. This is where you can update the settings for your company. 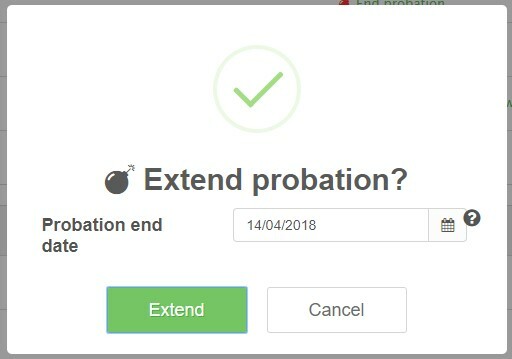 You can also override your Company Settings around probation end dates by extending or ending a probation. 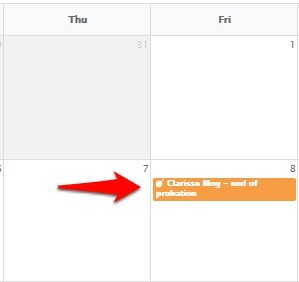 and a new dialog box will appear where you can add the new probation end date.